Saturday, Apr. 20, 2019, 10 – 11:30 a.m. 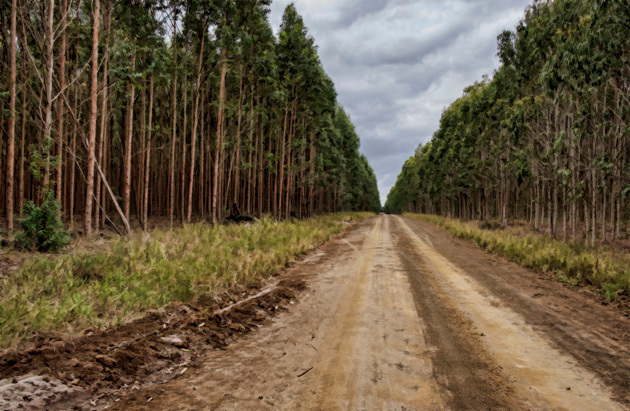 This talk will consider how the 20th-century Portuguese state increasingly embraced an idea of establishing forests—especially eucalyptus—both at home and in its territories. Afforestation was part of governance strategies to remake the nation and its landscapes under particular political conditions. Under fascist rule from the 1920s, these new forests were intended to supply Portugal with new industries. Some of these ideas influenced colonial governments, especially in Portugal’s African colonies. Thousands of eucalyptus trees were planted across great swathes of Angola and Mozambique, reshaping their African landscapes. Pedro Machado is Associate Professor of History at Indiana University. Born and raised in Capetown, South Africa, he developed an interest in the intertwined pasts of the Indian Ocean area. His book Ocean of Trade examines ways that South Asian merchant groups connected commercial systems in South Asia, and East and Southeast Africa. He is currently involved in a major cross-disciplinary international research project on the histories of the pearl fisheries of the Indian Ocean, with an international group of scholars.